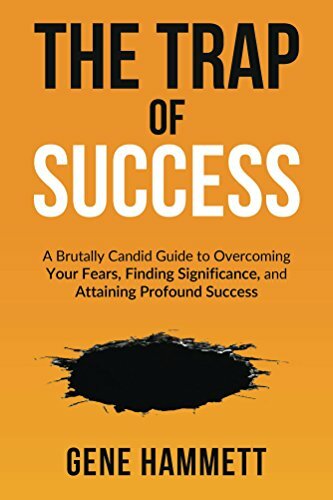 Full disclosure: The Trap of Success was written by my friend, Gene Hammett. And, it includes a bonus chapter on the nonprofit I co-founded four years ago, 48in48. Based on this, you might think I’d be predisposed to give him a great review, but actually my feeling was the opposite. For me to give this book a great review, I’d have to really enjoy it. And, thankfully, I did! This book was one part a history of Gene’s entrepreneurial story, one part inspirational and motivational lessons, and one part overall life philosophy book. I thoroughly enjoyed hearing Gene’s take on how to create personal success, and then how to not get trapped in that success. Bravo, Gene! I would recommend this book to just about anyone. Whether you run a business, are struggling with obstacles that you want to overcome, or just want to be inspired to be awesome, this book will speak to you. I actually listened to it on Audible, because Gene reads it personally, and I thoroughly enjoyed it. This book was written for those that want to unlock their highest potential. To make his point, the author, Gene Hammett, shares the hidden message that he found in losing millions on one day. That “message” is exactly what he failed to understand in his climb to traditional success. This book gives you the heartbreaking story of losing it all and rebuilding back his life with the courage to create significance. The Trap of Success takes you beyond that comfort zone so you can start your journey to significance and exponential success. This book is for visionary leaders—and those who want to be—who feel the thirst to achieve breakthroughs within themselves and in their impact on the world. It will help you grow to be the person you know you can be.